A critical review of growing archaeological and palaeoenvironmental datasets relating to the Middle and Late Pleistocene (300-12 thousand years ago) hominin dispersals within and beyond Africa,demonstrates unique environmental settings and adaptations for Homo sapiens to previous and coexisting hominins such as Homo neanderthalensisrelative and Homo erectus. Our species’ ability to occupy diverse and ‘extreme’ settings around the world stands in stark contrast to the ecological adaptations of other hominin taxa, and may explain how our species became the last surviving hominin on the planet. The paper, by scientists from the Max Planck Institute for the Science of Human History and the University of Michigan suggests investigations into what it means to be human should shift from attempts to uncover the earliest material traces of ‘art’, ‘language’, or technological ‘complexity’ towards understanding what makes our species ecologically unique. In contrast to our ancestors and contemporary relatives, our species not only colonized a diversity of challenging environments, including deserts, tropical rainforests, high altitude settings, and the palaeoarctic, but also specialized in its adaptation to some of these extremes. Although all hominins that make up the genus Homo are often termed ‘human’ in academic and public circles, this evolutionary group, which emerged in Africa around 3 million years ago, is highly diverse. Some members of the genus Homo (namely Homo erectus) had made it to Spain, Georgia, China, and Indonesia by 1 million years ago. Yet, existing information from fossil animals, ancient plants, and chemical methods all suggest that these groups followed and exploited environmental mosaics of forest and grassland. 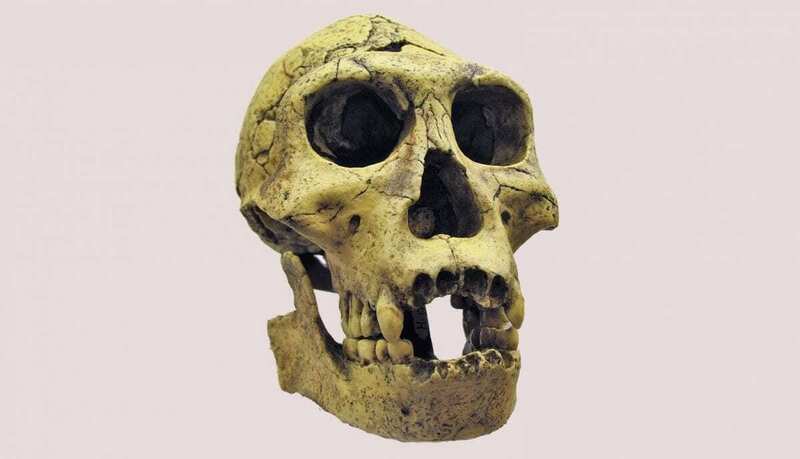 It has been argued that Homo erectus and the ‘Hobbit’, or Homo floresiensis, used humid, resource-scarce tropical rainforest habitats in Southeast Asia from 1 million years ago to 100,000 and 50,000 years ago, respectively. However, the authors found no reliable evidence for this. Map of the potential distribution of archaic hominins, including H. erectus, H. floresiensis, H. neanderthalenesis, Denisovans and archaic African hominins, in the Old World at the time of the evolution and dispersal of H. sapiens between approximately 300 and 60 thousand years ago. CREDIT – Roberts and Stewart. 2018. Defining the ‘generalist specialist’ niche for Pleistocene Homo sapiens. Nature Human Behaviour. 10.1038/s41562-018-0394-4. Finding the origins of this ecological ‘plasticity’, or the ability to occupy a number of very different environments, currently remains difficult in Africa, particularly back towards the evolutionary origins of Homo sapiens 300-200,000 years ago. However, the authors argue that there are tantalizing hints for novel environmental contexts of human habitation and associated technological shifts across Africa just after this timeframe. They hypothesize that the drivers of these changes will become more apparent with future work, especially that which tightly integrates archaeological evidence with highly resolved local palaeoecological data. For example, lead author of the paper, Dr. Patrick Roberts, suggests, “although a focus on finding new fossils or genetic characterization of our species and its ancestors has helped rough out the broad timing and location of hominin specifications, such efforts are largely silent on the various environmental contexts of biocultural selection”. One of the main new claims of the authors is that the evidence for human occupation of a huge diversity of environmental settings across the majority of the Earth’s continents by the Late Pleistocene hints at a new ecological niche, that of the ‘generalist-specialist’. As Roberts states “A traditional ecological dichotomy exists between ‘generalists’, who can make use of a variety of different resources and inhabit a variety of environmental conditions, and ‘specialists’, who have a limited diet and narrow environmental tolerance. However, Homo sapiens furnish evidence for ‘specialist’ populations, such as mountain rainforest foragers or palaeoarctic mammoth hunters, existing within what is traditionally defined as a ‘generalist’ species”. This ecological ability may have been aided by extensive cooperation between non-kin individuals among Pleistocene Homo sapiens, argues Dr. Brian Stewart, co-author of the study. “Non-kin food sharing, long-distance exchange, and ritual relationships would have allowed populations to ‘reflexively’ adapt to local climatic and environmental fluctuations, and outcompete and replace other hominin species.” In essence, accumulating, drawing from, and passing down a large pool of cumulative cultural knowledge, in material or idea form, may have been crucial in the creation and maintenance of the generalist-specialist niche by our species in the Pleistocene. “As with other definitions of human origins, problems of preservation also make it difficult to pinpoint the origins of humans as an ecological pioneer. However, an ecological perspective on the origins and nature of our species potentially illuminates the unique path of Homo sapiens as it rapidly came to dominate the Earth’s diverse continents and environments”, concludes Roberts. The testing of this hypothesis should open up new avenues for research and, if correct, new perspectives as to whether the ‘generalist specialist’ will continue to be an adaptive success in the face of growing issues of sustainability and environmental conflict.